This article was posted on 5th April 2016. It's warming up, blossom is in full bloom and we're feeling the invigorating Spring sunshine on our faces. We're starting to dream of Summer months spent in warmer climes, with mouth watering food, good-chat inducing wines and days spent relaxing or meandering cobbled streets in search of a hidden-gem boutique. 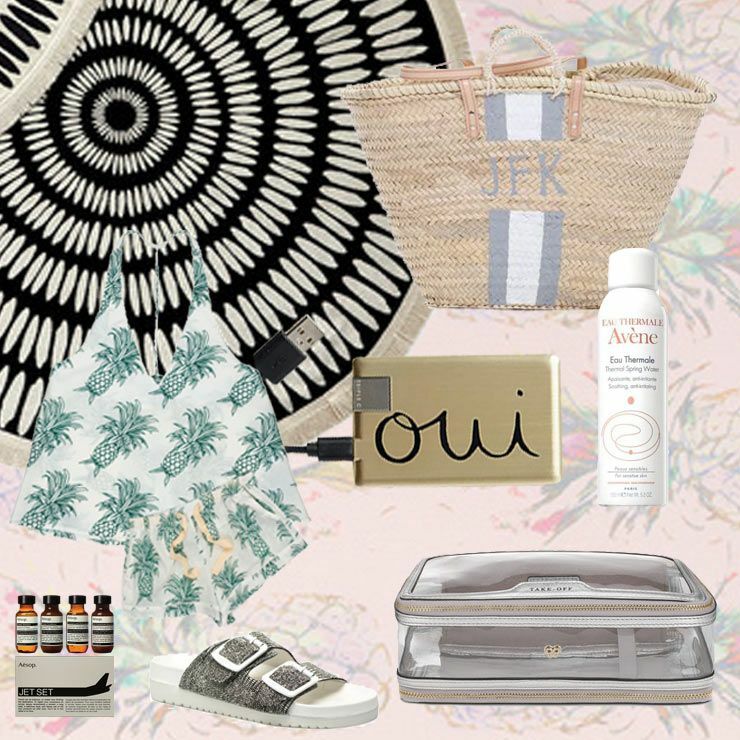 Beach People Black & White Towel; Monogrammed Moroccan Basket; Avene Facial Mist; "Oui" Gold Mobile Charger; Pinapple Pyjamas; Aesop Jet Set Kit; Sandals; Anya Hindmarch Inflight Case. Background: Pink Pineapples Cushion. Whether a jaunt to pretty Provence is on the cards for your Summer or not, you can re-create chateau chic in your own home with pieces from our Provencal collection of white French furniture. Provencal Marie-Antoinette Console Table; Provencal Heart Top Mirror; The Countess Vase. 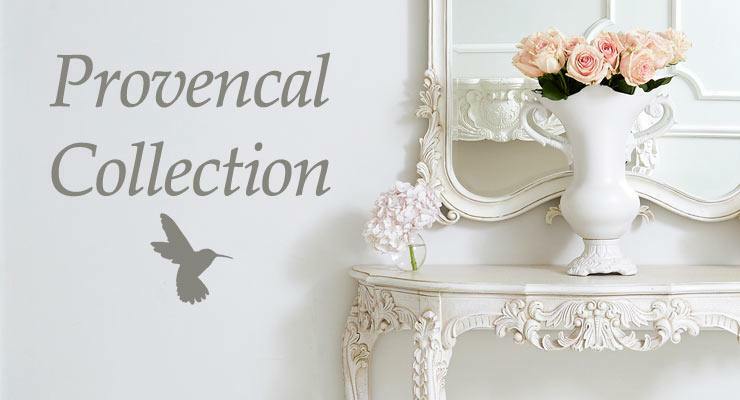 By far our most popular style of French furniture, Provencal, with its soft antique white finish, simple ivory and white ticking or linen upholstery and highly ornate carvings is an effortlessly beautiful bedroom collection. Each piece of white painted furniture is hand finished and therefore slightly unique in its own right. Provencal Sassy French White Painted Bed; Olivia Grey Linen Cushion; Ribbons and Roses White Cushion. 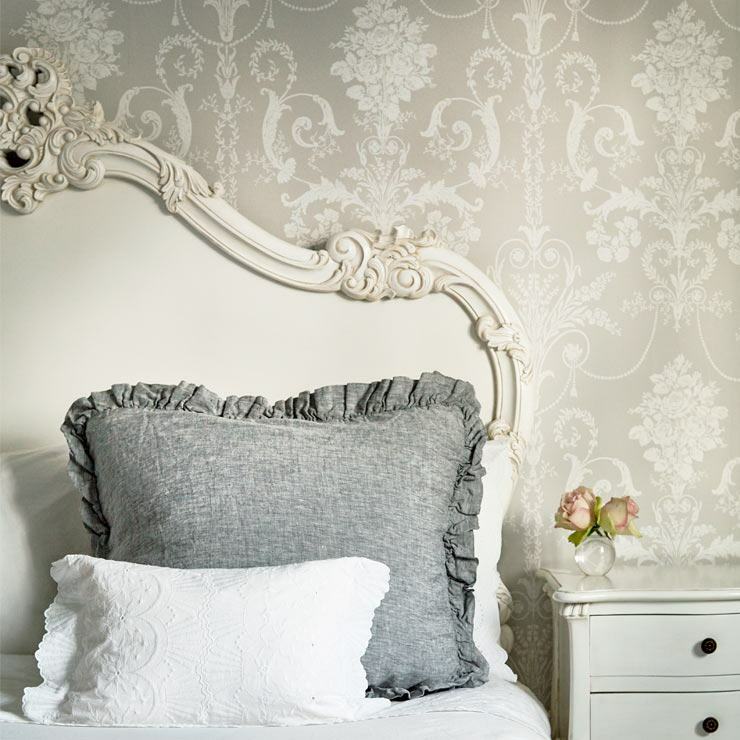 Just top up beds and chairs with layers of luscious cotton quilted bedspreads and decorative cushions, to transform your boudoir with a boutique French hotel feel. Or for a modern design, use the subtlety of the Provencal collection as a backdrop to more statement pieces, like one of our new Kae Collection bright chairs - teaming classic French style with striking, eye-popping splashes of colour is a great way to get a Summer-y vibe into your home. 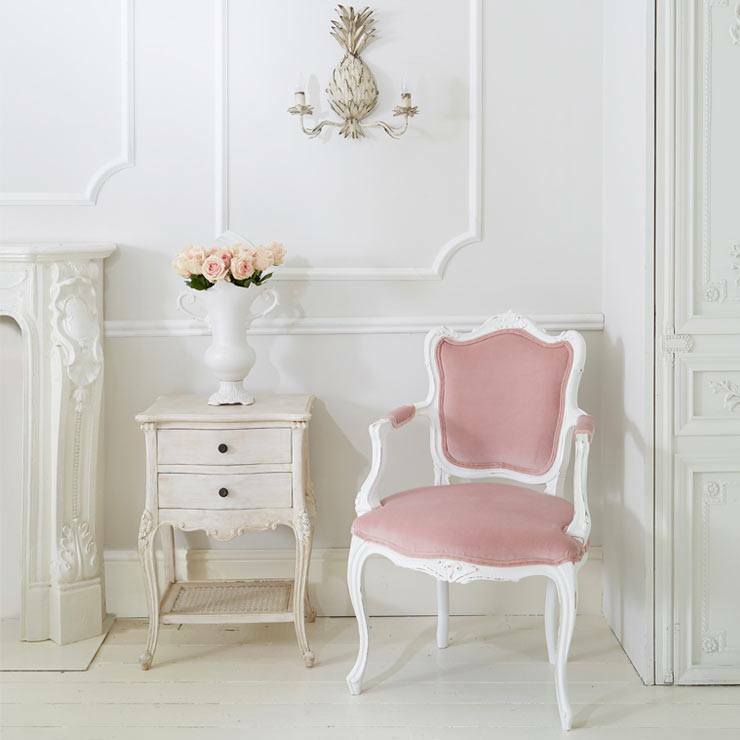 Provencal Two Drawer White Bedside Table; The Duchess Pink Chair. With over 40 pieces in the range, from French dressing tables to generously-sized statement-making French armoires, it's not difficult to make a space feel truly dreamy in an instant.